Set in the late 1800’s, three riders are very determined and pushing hard. The lead rider on the paint horse has a pistol holstered to the pommel, while the others carry their weapons on their hip. 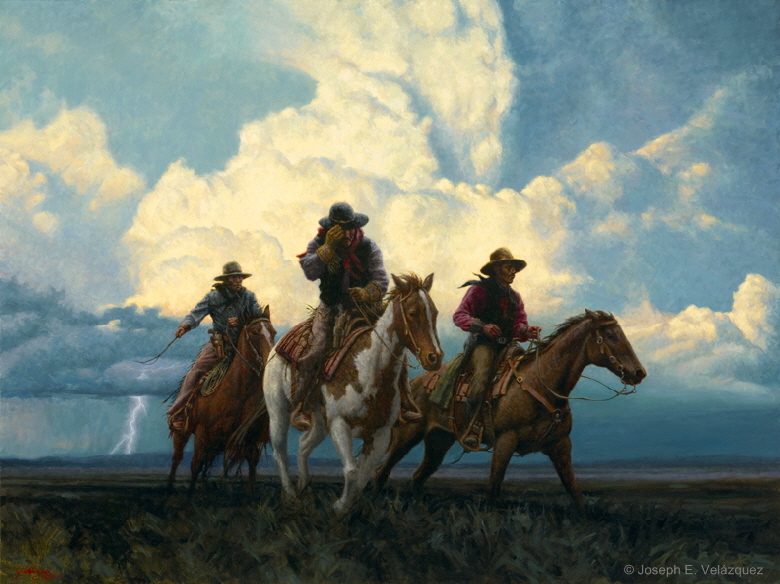 Are these guys cowpunchers, lawmen, desperadoes, or simply heading home? It is up to the viewer to create the story. The powerful cloud formation augments the tension and drama. The cooler color palette, relative flat terrain and back lighting serve to further enhance the emotion of the scene.